Once upon a time, there was a king who discovered that there was a dragon on the loose in his kingdom. A knight, a dragon, and stolen treasure: what a thrilling tale this Touch the Art has to tell As the brave knight pursues a dragon who has taken the king's jewels, he races past famous paintings of kings, queens, and other royalty. 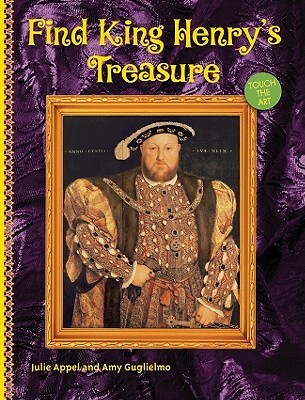 During the exciting chase, children can touch the glittery chain on Hans Holbein's Henry VIII, tap the crown in Nicholas Hilliard's Queen Elizabeth I, and see Raphael's St. George Struggling with the Dragon.